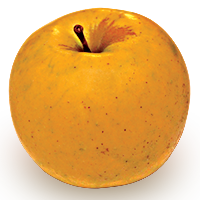 GOLDEN APPLES have been potent symbols of beauty, desire, and power over centuries in cultures around the globe. They appear in fairy tales from Bulgaria, Germany, Romania, and Russia — usually stolen from a king. 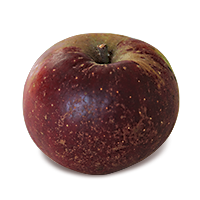 In Norse mythology, golden apples grant immortal life to the gods. 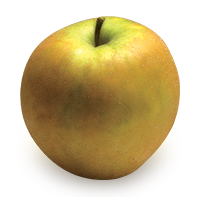 Golden apples figure prominently in three Greek myths, serving in one as a catalyst for the Trojan War. Eris, the goddess of discord, was the only deity uninvited to the wedding of Peleus and the beautiful sea-nymph Thetis. 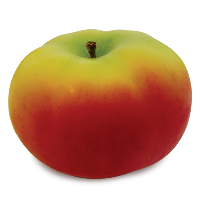 Outraged, she threw a golden apple inscribed “for the fairest” before the goddesses Aphrodite, Athena, and Hera. 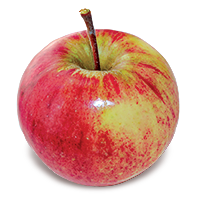 The three beauties argued over who should get the apple, and Zeus was loathe to decide, so he appointed a Trojan shepherd boy, Paris, to answer the question instead. The goddesses tried to bribe him. Hera, queen of Olympus, told Paris she would grant him power to rule the world. Athena, goddess of war and wisdom, said she would make him a brilliant strategist in battle. Aphrodite, goddess of love, offered Paris the love of Helen, the most beautiful woman in the world, even though Helen was married to the king of Sparta. 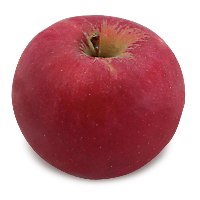 Paris succumbed and awarded the golden apple to Aphrodite. She helped him to elope with Helen to Troy, launching the Trojan War and eventually leading to Paris’ death. 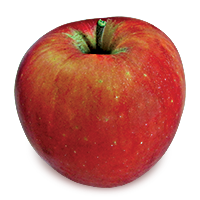 Aphrodite used golden apples again to aid the mortal Melanion, who wished to marry the brilliant athlete Atalanta. Atalanta had agreed to wed a suitor only if he managed to beat her in a foot race. 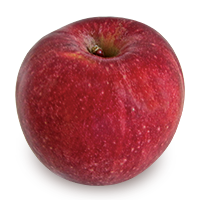 With Aphrodite’s help, Melanion threw a golden apple ahead of Atalanta whenever he fell behind. Fascinated, she stopped to pick each one up, and she lost the race. 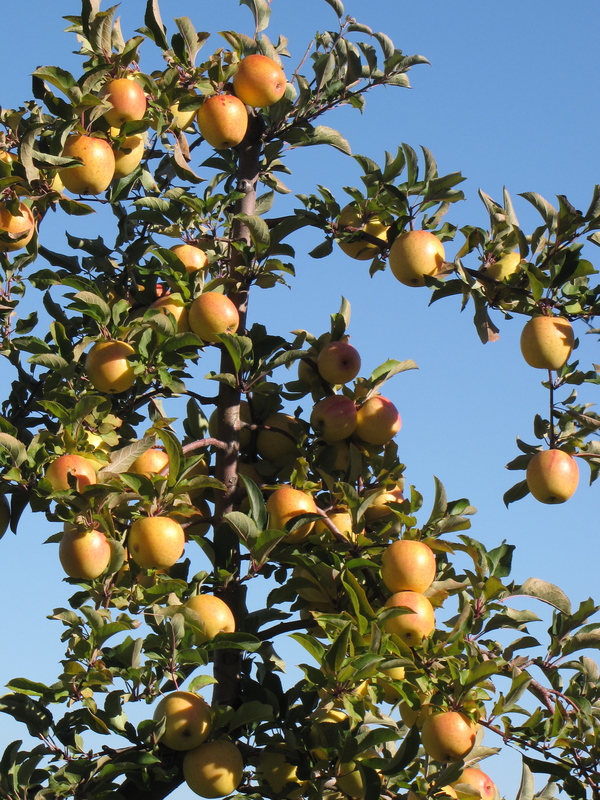 As a source of immortality, golden apples were the object of one of Hercules’ 12 labors. 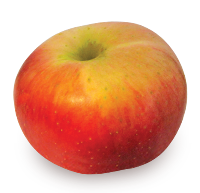 Hercules was commanded by Eurystheus to bring back golden apples from Hera’s Garden of Hesperides, at the edge of the world. 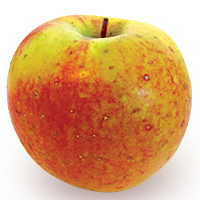 The golden apples were guarded by a hundred-headed dragon, and by the Hesperides, the daughters of Atlas, the titan who bore the sky and the earth upon his shoulders. After many trials, Hercules finally reached the garden, where he convinced Atlas to retrieve the apples from his daughters by agreeing to take over his burden, as Atlas was tired of holding up earth and sky. When Atlas returned with the golden apples, he told Hercules he would take them to Eurystheus himself, leaving Hercules to bear Atlas’ heavy load for eternity. Hercules agreed, but asked Atlas to take the world back for a moment while he padded his shoulders to better carry the weight. 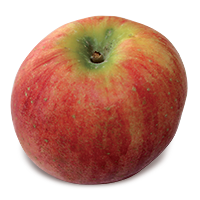 When Atlas set the apples on the ground, Hercules picked them up and ran off, carrying them back to Eurystheus. 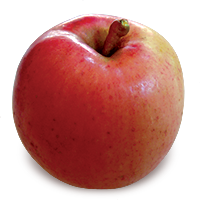 THE GOLDEN APPLES we eat today may not bestow immortality, but their beauty and flavor make them divine enough to be food for the gods. 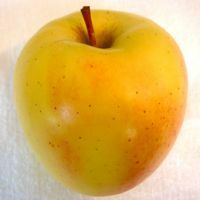 Three late-season golden apples that thrive on New England soils are Golden Delicious and two of its offspring, Mutsu (also known as Crispin), and GoldRush. 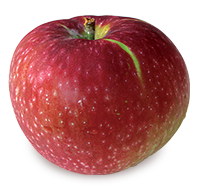 While unrelated to Red Delicious, Golden Delicious shares its conical shape and many of its flavor characteristics. 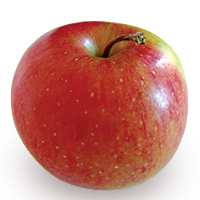 Like the Red, Golden Delicious is a sweet, medium-to-large apple and is an excellent keeper. 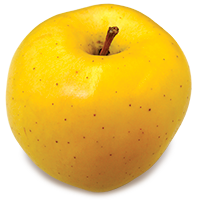 Golden Delicious has a greenish-yellow skin that turns gold, and its yellow flesh is crisp and juicy. 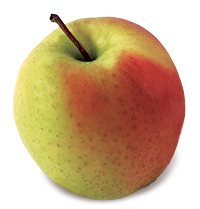 It is good in cooking, especially in pies, as its flesh holds up well when cooked. 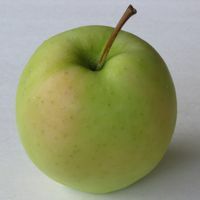 Golden Delicious is also excellent eaten fresh and in salads. 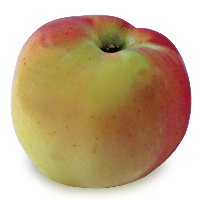 The Golden Delicious originally was called Mullins Yellow Seedling after its discovery in West Virginia in 1890. 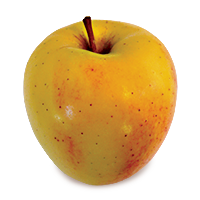 It was renamed Golden Delicious when introduced commercially in 1916. 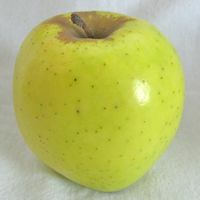 Mutsu, or Crispin, is an excellent dessert apple and good in salads, but it excels in pies and baking, with a sweet, light flavor when cooked, and holding its shape well. 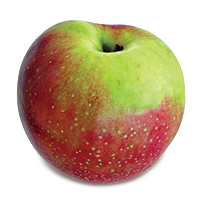 Mutsu can grow quite large (a pie made with them may require as few as three apples). Its flesh is white to pale yellow. 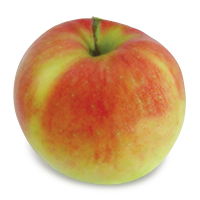 Mutsu has its origins in Japan, developed in 1930 from a Golden Delicious crossed with an Indo, a Japanese seedling. 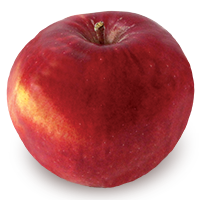 It was introduced in the United States in 1948. 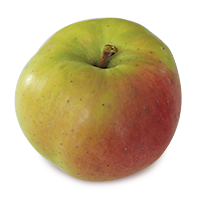 GoldRush is a good dessert apple, juicy and honey-flavored like its Golden Delicious parent. 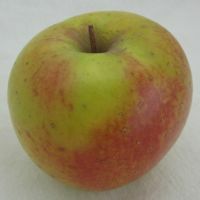 Golden Delicious is GoldRush’s seed parent, with crosses from several other research varieties including Siberian Crab Apple, Winesap, Melrose, and Rome Beauty. 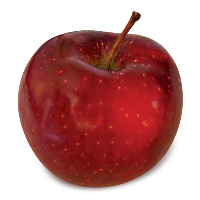 Its development began in 1945, but it took until 1973 for the first seedling to be planted at Purdue University by the cooperative breeding program of the Indiana, Illinois, and New Jersey Agricultural Experiment Stations. It was released commercially in 1993. 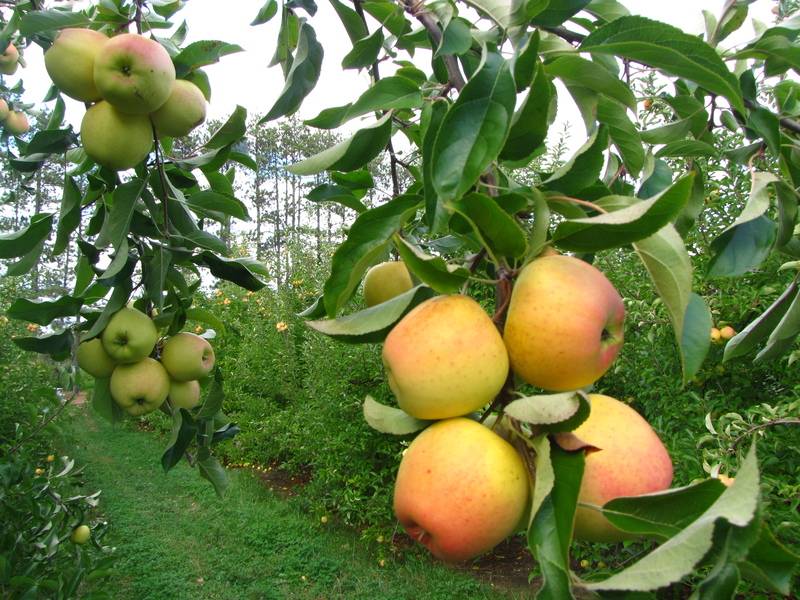 If you are planning a home orchard, GoldRush is considered a good choice due to its heavy bearing, disease resistance, winter hardiness, and ease of growing. IF YOU ARE NOT QUITE READY to bake Thanksgiving pies, here is a recipe that you can try this weekend, using any of these golden varieties. 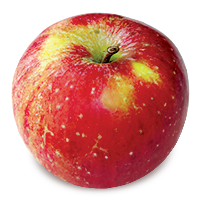 Easy to make, it should make a delicious dessert all winter. In a medium size bowl, coarsely crumble the bread. In a small bowl, beat together eggs, milk, and vanilla. Pour milk mixture over the bread crumbs and set aside. 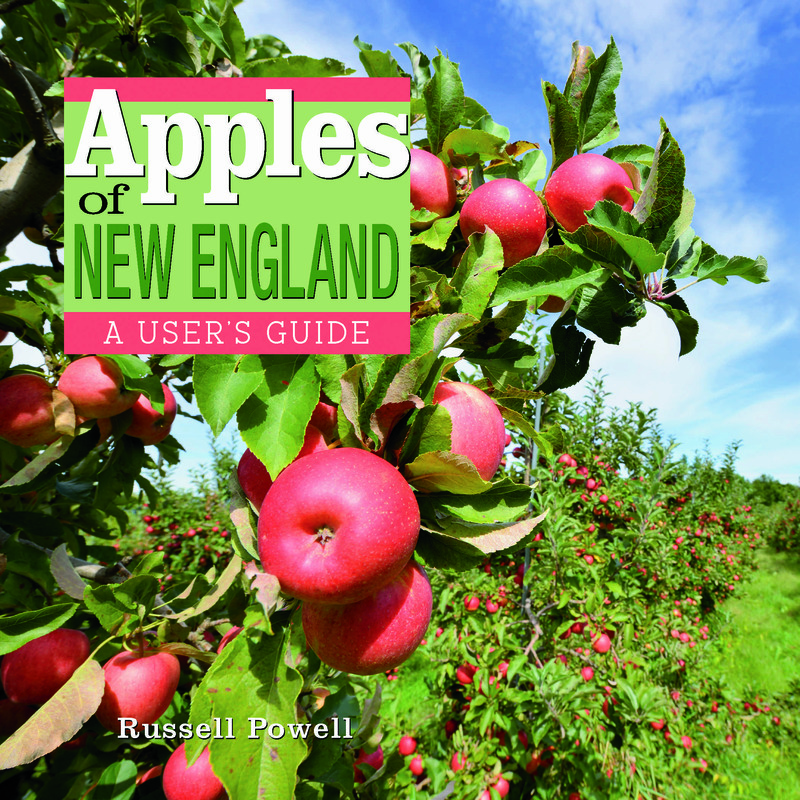 Meanwhile, combine sliced apples, sugars, and cinnamon in an 8″ square buttered baking dish. 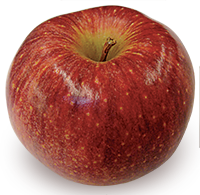 Pour soaked bread crumbs over the apples. Dot with butter. 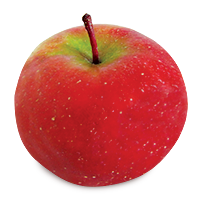 Bake at 325° for 50 minutes or until apples are tender. Serve warm with ice cream, hard sauce, frozen yogurt, or whipped cream.